As a privately owned company based in Elkton, Maryland, we have strong ties with our local community. AHEC and AEC are active members of the Cecil County Chamber of Commerce, Elkton Chamber and Alliance, Rising Sun Chamber of Commerce, North East Chamber of Commerce, New Castle County Chamber of Commerce, and Middletown Area Chamber of Commerce. 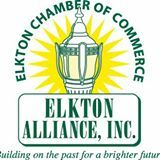 We are also active members of the Elkton Business Networking International (BNI, Elkton Chapter) group, where business-to-business referrals are a top priority. We support various educational STEM initiatives throughout Maryland. As a member of the Cecil County Business and Education Partnership Advisory Council (BEPAC), we were a “competitive sponsor” for its first annual Preakness Pride Celebration in 2015. We also support University of Maryland’s graduate energy efficiency engineering program by offering students opportunities to perform energy audits to fulfill course and program requirements. Moreover, we offer AHEC residential energy audit internships to students of Delaware Technical Community College. We’ve developed a special fundraising program to support local churches, firehouses, and other nonprofits interested in funding their energy-savings projects and other charity initiatives. Contact us to learn more about our fundraising opportunities.